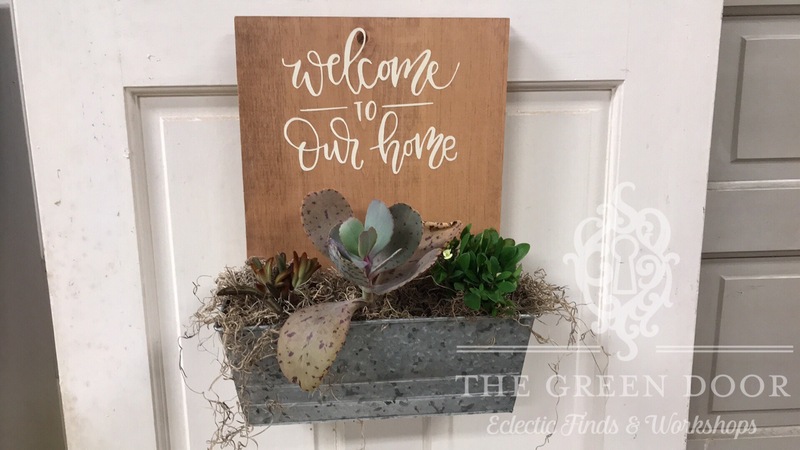 Join us at The Green Door in our DIY Workshop Studio on Thursday April 18, 2019 at 6:30pm to create a succulent wall planter complete with Live Succulents! These planters can be used inside or outside! We will be using Chalk Paint® by Annie Sloan for this workshop, all 42 colors are available to choose from to create your own look! Guests will choose from a wide variety of live succulents and mosses to create a beautiful succulent arrangement and will learn how to care for succulents during this workshop! $65.00 (custom stencil) – Please specify your wording in the custom box upon registration. Seats are limited – sign up today to avoid disappointment!